James (Jim) Grinder, born September 13, 1942, in Swift Current, Saskatchewan, passed away in Comox, BC, at St. Joseph’s Hospital on September 18, 2017. He is survived by his wife Dena of 54 years and their two children John (Sharon) and Liza (Sandy), and grandchildren Jayden, Alexandra, Logan and Jamie; also his mother Evelyn Sapinsky, brother Dan Grinder and many in-laws, cousins, nieces and nephews. Jim was predeceased by his father Arthur Grinder and sister Judy Stuckle. 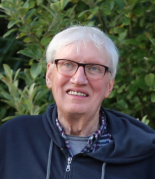 Jim attended UBC, obtaining his teaching degree in 1967, and then continued his studies at Gonzaga University where he completed his Master of Arts degree. His career started in Dawson Creek and then moved on to Summerland, where his music program attained provincial and national acclaim. Jim was the Performing Arts coordinator for S.D. #71 (Comox Valley) from 1980-1990, and he finished his career as a university professor at Malaspina (Vancouver Island University). He adjudicated stage and concert band festivals throughout British Columbia. Jim’s grandkids were his pride and joy. He loved jamming with them as well as skiing and boogie boarding. Jim was well known for his giant pumpkins, winning the Royston Pumpkin award many times! Jim also loved to hunt, fish, cycle and play music. He was an active member of the “Walkers,” winning many shootouts and hockey pools. Jim also loved to travel. Dena and Jim toured Asia, New Zealand, Cuba, Hawaii, Mexico, Canada and, of course, Disneyland. Jim was a gentle and loving man and a good friend to all. He will be greatly missed. In lieu of flowers, donations may be made to BC Lung Association to fund research.